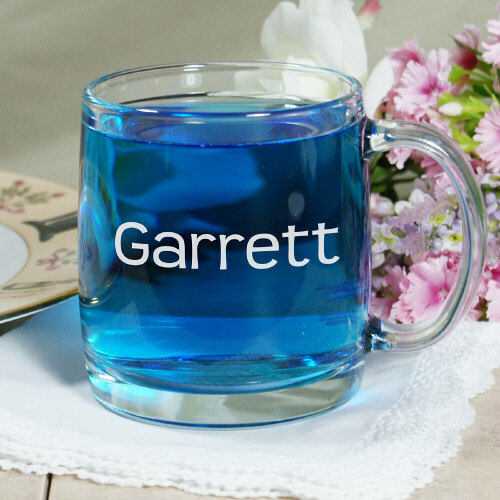 Provide your handsome little ring bearer with his very own Personalized Glass Mug so he can celebrate with everyone else in the bridal party. 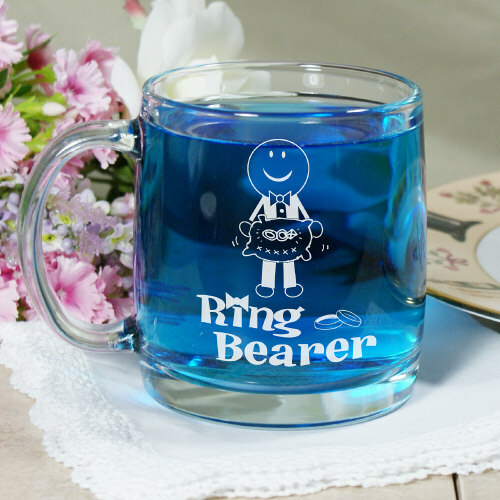 A fun and sturdy Personalized Ring Bearer Gift perfect for milk, soda, hot chocolate or favorite juice. The ring bearer name is engraved on the opposite side of the ring bearer design. My nephew will love this. It was exactly what it said it would be. Additional Details GiftsForYouNow.com has many unique and attractive Personalized Bridal Party Gifts suitable for everyone. We offer great Personalized Picture Frames, Engraved Mugs plus many other Personalized Wedding Party Gifts. Shop GiftsForYouNow.com today and experience the difference.